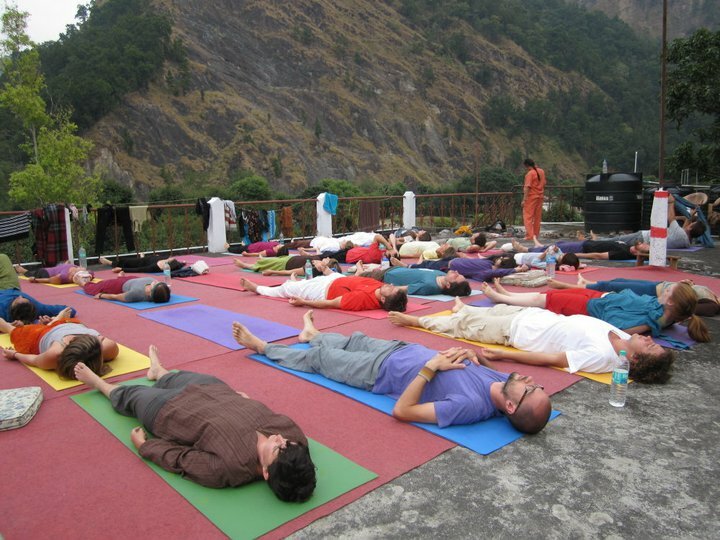 Rishikesh, located in the North Indian State of Uttarakhand is known as the ‘world capital of yoga’. It houses Ashrams and Centers, both ancient and newer ones too. Rishikesh, situated alongside the banks of the Ganges is a holy city and is believed that meditating here brings one closer to Moksha (Enlightenment). Founded by Pujya Swami Shukdevanandji, Parmarth Niketan is undoubtedly the largest Ashram in Rishikesh. It is located in Swargashram Locality on the banks of the holy Ganges. 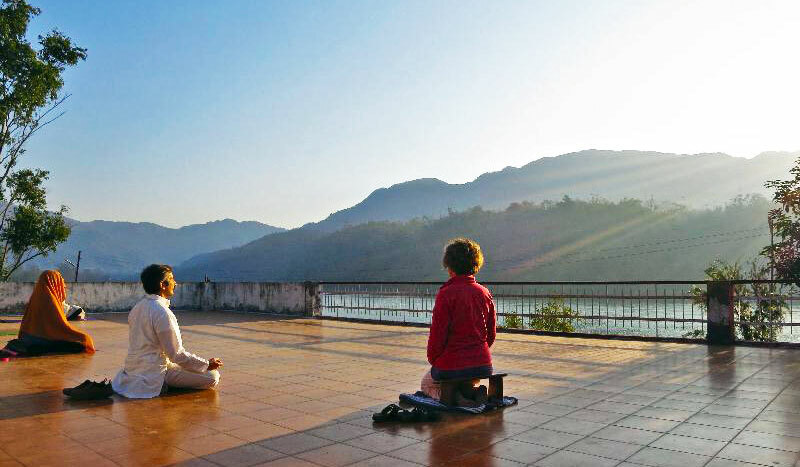 Parmarth Niketan has been in existence since the last 70 years being one of the oldest Ashrams in Rishikesh as well. It has 1,000 rooms on its sprawling eight acre campus, with various rates depending on the standard of accommodations and view. H.H. Pujya Swami Chidanand Saraswatiji’s motto in life is, “In the Service of God and humanity.” Under His divine inspiration and leadership, Parmarth Niketan has become a sanctuary known across the globe as one filled with grace, beauty, serenity and true divine bliss. Founded by Swami Vishnudevananda, Sivananda Ashram is named on one of most known Yoga Guru Swami Sivananda. According to him “Health is wealth, Peace of mind is happiness, Yoga shows the way.” He started the first Sivananda Ashram in Canada in 1959. Now, there are about 60 Sivananda Ashrams across the World. The locations include South America, North America, Europe, Israel, India & East Asia. Sivananda Centres focuses on spreading Yoga teachings in a unique way inluding Proper Asanas, Breathing, Relaxation, Proper Vegetarian Diet, Lot of Positive thinking and Proper Meditation. It is situated in north of India along the banks of the Ganges River in the foothills of the Himalayan Mountains. Surrounded by mountains the name “phoolchatti” means “land of flowers”. Phool Chatti Ashram has been welcoming spiritual seekers for meditation, renewal, and spiritual growth for over 120 years. It is a perfect destination for beginners and intermediate looking for refreshment into yoga and meditation. It’s a really beautiful and peaceful environment- a paradise in the middle of India’s busy and noisy life. 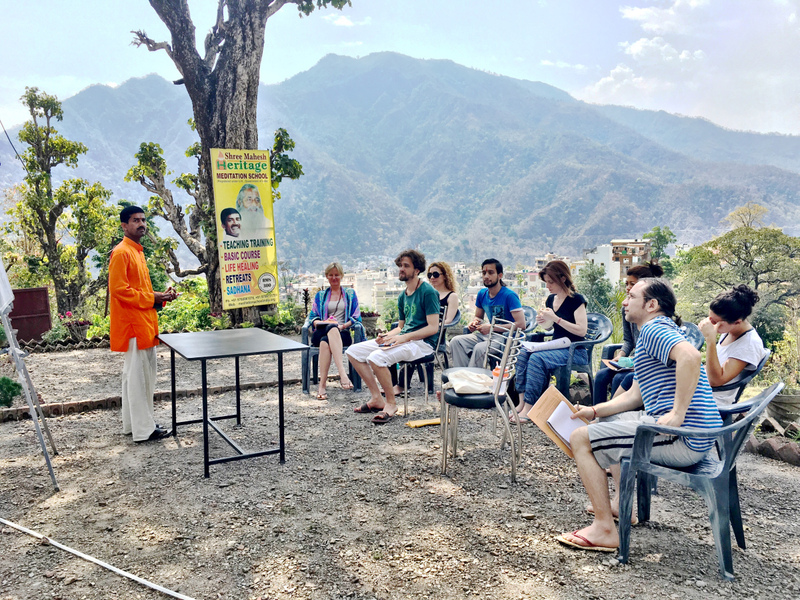 With its stunning mountain setting in the holy town of Rishikesh this is a wonderfully spiritual place for Meditation-yoga and natural healings on Vedic linage. The centre is equipped with all sorts of tools and equipment’s required to study and practice Meditation-Yoga and Life healing therapies. Shree Mahesh Heritage Meditation School offers a 300 hour meditation teacher training course, as well as meditation retreats and meditation for beginners courses. Founder Ram Gupta has a degree in Nature Cure Science and Master Degree in Yoga and Meditation, plus more than 20 years of diverse experience in India and internationally. This ashram was founded in 1966 by Swami Rama, author of Living with the Himalayan Masters, and many other renowned spiritual books. It is situated away from the hustle and bustle of Rishikesh, nestled in the foothills of the Himalayas. It is surrounded by beautiful flowering gardens, mango trees and a lotus pond, a quiet and serene atmosphere permeates the ashram making it ideal for sadhana. It has a serene garden setting on the banks of the Ganges river, but away from the hustle and bustle of Rishikesh. Various residential programs are offered and require reservations at least two weeks in advance. You can visit their websites to learn more about the programs offered by them.